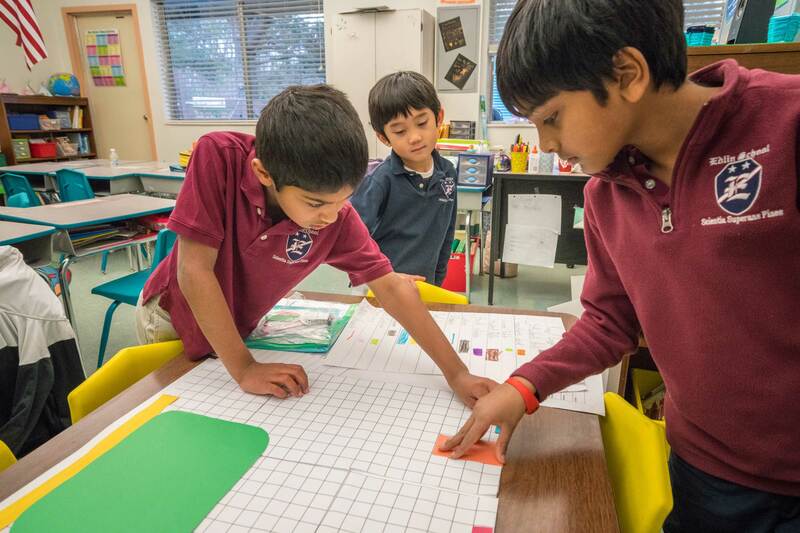 As part of our study of maps in social studies, Edlin School second graders honed their cartography skills scaling down the classroom. 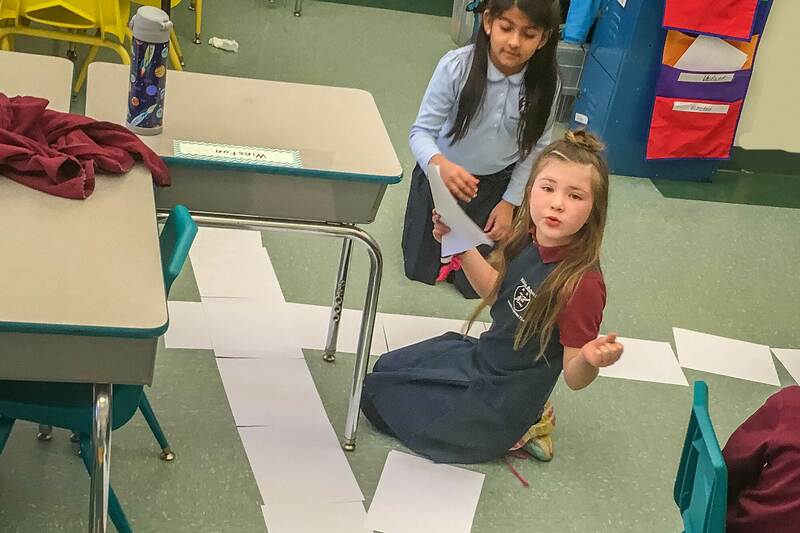 Using sheets of paper as a non-standard unit of measurement, students worked in teams to find the length and width of the classroom and its furniture. 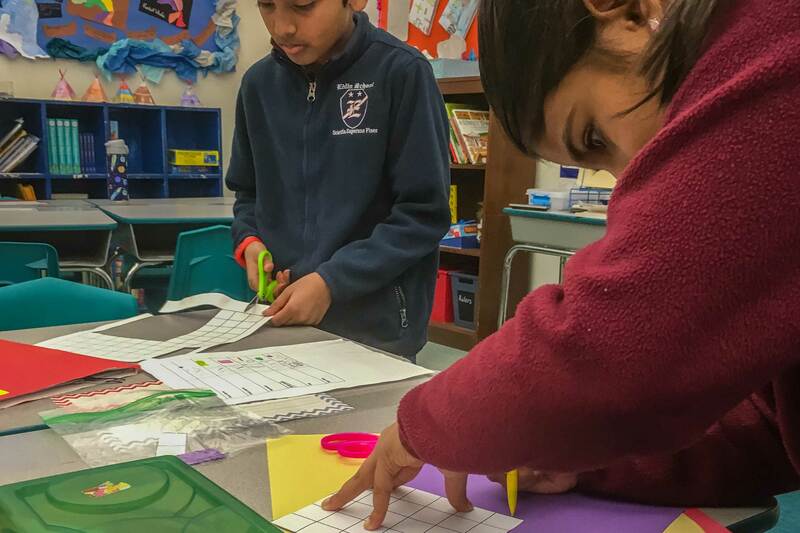 Once each group figured out the measurements, they used a large piece of graph paper to make a ‘to scale” map of the classroom. After creating a legend with colors and symbols for each piece of furniture, doors, windows, etc., it was off to cutting the individual pieces out of colored paper so their “foot print” would fit on the map. Next, our savvy map-makers used the compass rose to orient the map as each child had to place the furniture onto the map, making sure all the pieces were laid out in the right position. Students then finalized the map by creating all the necessary components: a title, a legend, a scale, and labels. They had shrunk the classroom to the size of a poster! This project-based exercise brought together math, social studies, spatial orientation, and graphic design/art. What a collaborative effort! Use the Icons at the left of this page to share. Thank You!